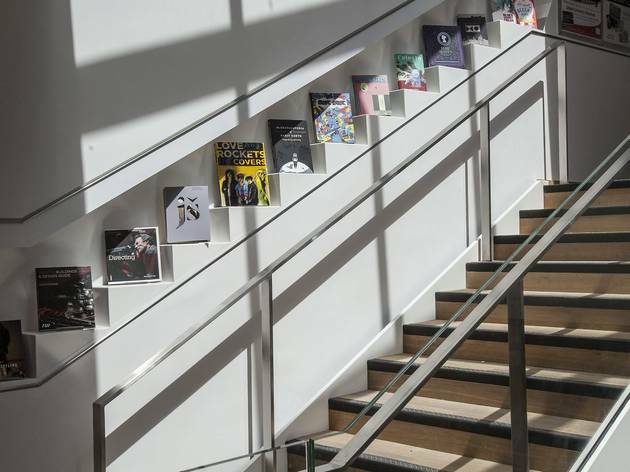 If the old Foyles was a bookish uncle in a soup-stained cardigan, the new Foyles is a hip teenage cousin: ahead of the curve where apps and indie cinema are concerned, but sporting a pair of off-puttingly flash trainers. 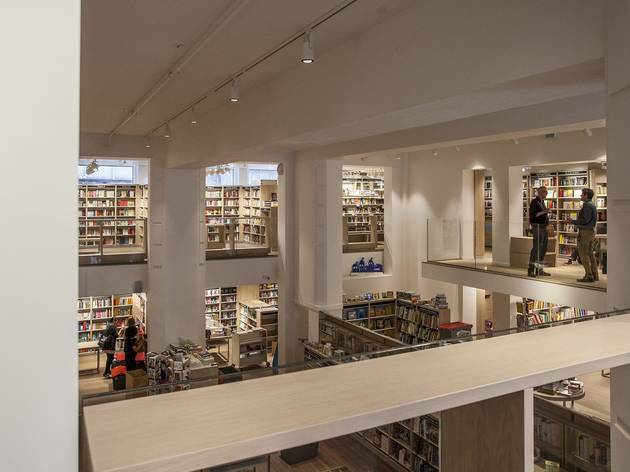 Foyles has always been one of those shops that trades partly on sentiment, with its labyrinthine layout, oddball-friendly café and loyal staff: Giles Armstrong, manager of the foreign languages department and Foyles' longest serving, had clocked up an impressive half-century on the payroll in 2015. News that Foyles was moving, and its much-loved café closing, was greeted with understandable dismay by Time Out readers, but standing in the vast, updated premises (just a couple of doors down from the old one, in the former Central Saint Martins HQ) it's easy to understand the decision. 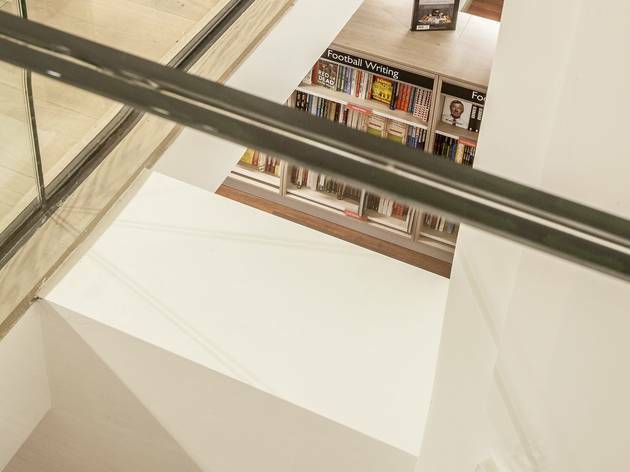 century’, with 37,000 square feet of floorspace laid out immaculately by architects Lifschutz Davidson Sandilands around an impressive central atrium, and eight levels (four actual floors) packed with more than 200,000 books. Wherever you stand, you can see every part of the building, and the place is bathed in a gentle, contemplation-inducing glow. 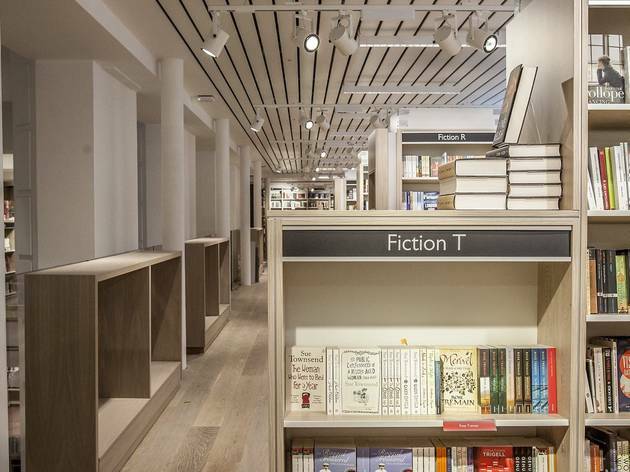 It’s light years away from the dusty nooks and crannies of the old building, and a bold visual statement of Foyles’s ambition and new image. In the age of the e-reader and Amazon, punters need a good reason to visit a bookshop, and the new story has plenty. Books aside, the focus is on the social aspect of reading. 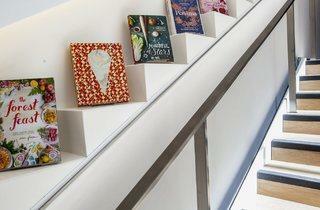 A whole floor is dedicated to events, from readings by Michael Palin and Jarvis Cocker, to themed reading groups or literary tours. The swish new café is run by Leafi, the people behind Whitechapel Gallery's smart bistro, so expect something slick rather than homely. 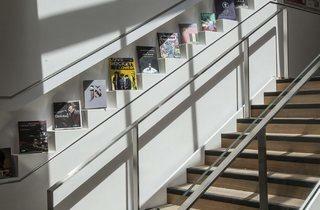 There's also a capacious art space curated by cultural innovators Future City. There are no real signs of the building’s former life, although one was uncovered during the redevelopment, in the form of ‘a big wall that had been given a going over by some art students’, according to the shop’s manager. This is in stark contrast to the old premises, where expansion work turned up disused rooms and even lifts that no one knew anything about. 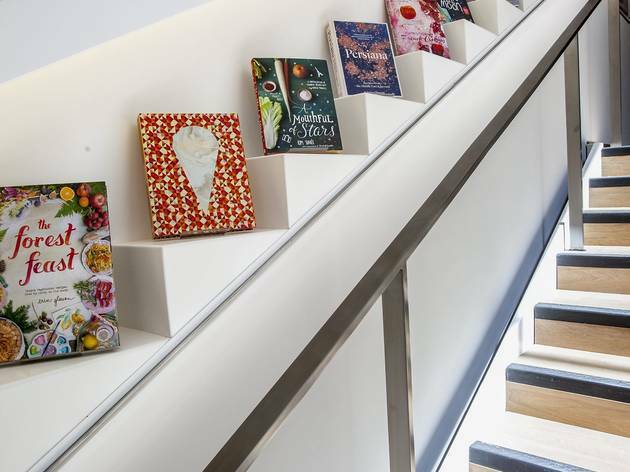 Foyles veterans may find the new store a smidge anodyne, but any business making such a gutsy statement in favour of ink and paper, and bringing the printed word to life in such a sociable setting, deserves an exciting new chapter. Branches: Southbank Centre, St Pancras Station, Westfield, Westfield Stratford City. 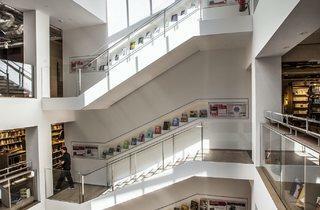 If you love books, then Foyles is the place for you to go. 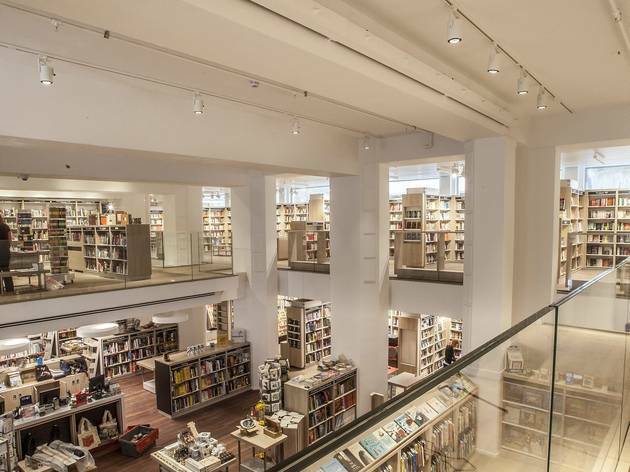 This flagship store is huge and no matter what niche genre you might be into, this bookstore will probably have what you’re looking for. I was truly amazed by the quantity of books you can find here, but despite getting lost twice, the staff was extremely helpful in helping me out in order to find a book I was looking for and I couldn’t find anywhere else. During my last visit I was searching for a self-learning foreign language book and the choice was extremely wide, to the point that I found that that in the foreign languages section they not only sell books to learn the language, but even novels in that foreign language (German, French, Italian, Spanish, Portuguese, Japanese, etc...). The bookstore even sells second hand little gems, which you’ll find in baskets underneath the shelves, often discounted up to 60%. So, even if you’re just looking for your next favourite book or you’re looking for something very specific, give Foyles a go and I’m surely you won’t be disappointed. 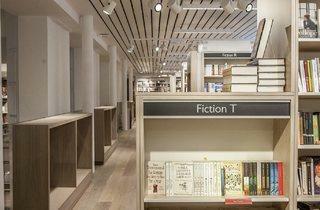 I love reading books and it''s always an absolute pleasure to enter Foyles flagship store in Soho every time. The greeter is always so friendly and helpful and walking about this spacious and airy store gives me the space to real consider and appreciate each section thoughtfully and find exactly what I'm looking for. There is a cafe so it more than a shop, an experience would better describe a visit here. This shop is so welcoming, the dark, dank musty old bookshops have gone, replaced with stylish, well thought out and honestly, cool. 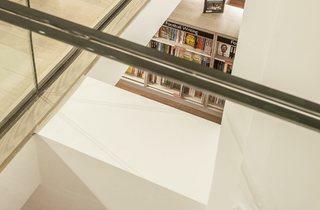 Foyles flagship store lies in central London and Charing Cross Street. 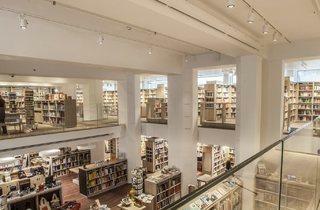 Huge store, with several floor, thousands of book titles and a beautiful cosy coffee shop on the top floor. Even for a quick stroll around its shelves and a quick coffee at the end, it deserves your visit. More like a department store than a book shop, this place is HUGE! I have never seen so many books in one place. Every genre you could possibly imagine. If you want a book, this is the place to go! Simply one of my most favourite places in the world. Because it's Foyles, there's obviously a wide selection of books here, if you're looking for bestsellers and even if you're looking for specific topic books ('War maps of Tunisia'). But my favourite thing about this bookstore is actually the cafe on the fifth floor, aptly named The Cafe at Foyles, with a well set-up workspace, free wifi and jazz music in the background. If you buy one Americano at £2.25, they'll let you stick around as long as you want, and you can flick through the selection of books on their book trolley too. Lovely peaceful place to browse, great selection of books! Oh I love Foyles, and I'm a little angry with myself that I've not reviewed it yet. 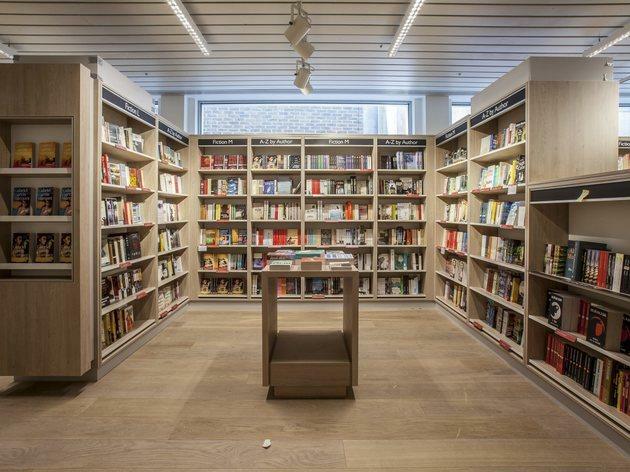 This spacious book shop is a lovely break from the world outside - plenty of places to wander, sit and browse makes it the perfect lunch break switch off venue. There's a lovely cafe on the top floor, which is usually fairly quiet and has wifi if you need to work. I’ve been buying books from Foyles since I was a teenager, way back in the 70s, and have very fond memories of the old place. The new store has been open some while now and I’m still a regular visitor. I’ve had some time to adjust to it and evaluate. No denying it’s immaculately laid out and is bright and modern, but something is missing. The little nooks and crannies are gone. The quiet, cosy feel of the old café has gone. It’s just a little too clinical for me now personally. But the move was obviously necessary and there’s lots to praise. More space to house the thousands of titles on offer. More structured layout means finding your book is easier. There is a bigger and better events space. But I do miss that old charm ‘bookshop’ vibe. And the size of the new premises need not have been an obstacle in attempting to recreate that. Waterstones in Piccadilly are a good example in my opinion of what could have been achieved. But I have a certain loyalty to Foyles and will continue to enjoy browsing their shelves for many a future read. Here’s to another 109 years in Charing Cross Road. If you're a bookworm like me, this place is for you. 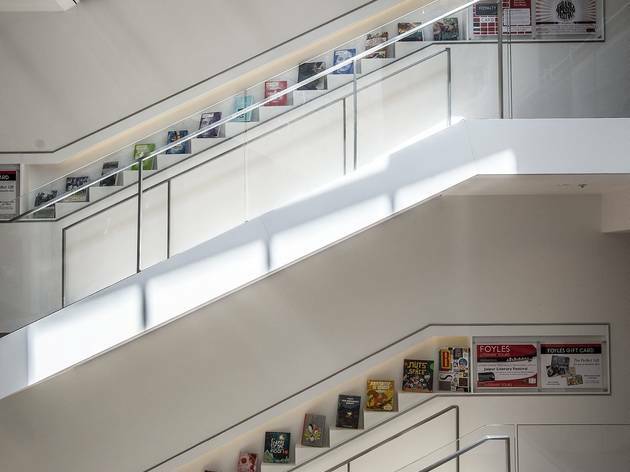 At Foyles you can find anything, from novels, to language books, to graphic novels and it's a great place even to just wander around the departments if you have a couple of hours between one meeting and the other in Central London. I like the fact that staff members are asked to put their little suggestions below those titles they liked best :) and there's plenty of space to sit down and read. Great place to find a little peace away from the crowds! Most bookshops can order what you’re after and get the books in pretty fast but there’s not much pleasure shopping that way and the great thing about Foyles is that it generally has titles in stock so you can buy on the spot.All the departments are clearly signed and there are loads of books displayed at eye level to tempt you on the way up the stairs. Shopping’s normally a pleasure here, with no-one hassling you but plenty of staff at the counters if you need help to locate something. Just one black mark: on a recent visit the air conditioning was set to ‘arctic chill’, which made it impossible to linger and browse. 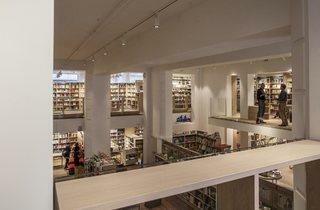 The new Foyles is a friendlier place than the old Foyles. Sure, you could get lost in dark corners in the old version, and find yourself absorbed in a book on a subject you hadn't come in to browse. But you can still do that in the new shop, only surrounded by light and hope. And the book world needs some hope in the digital age. 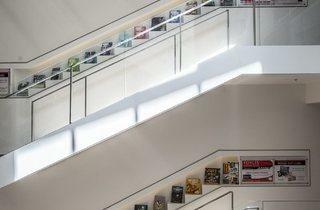 If you watch the customers, they are happy; strangers smile at you on the stairs. 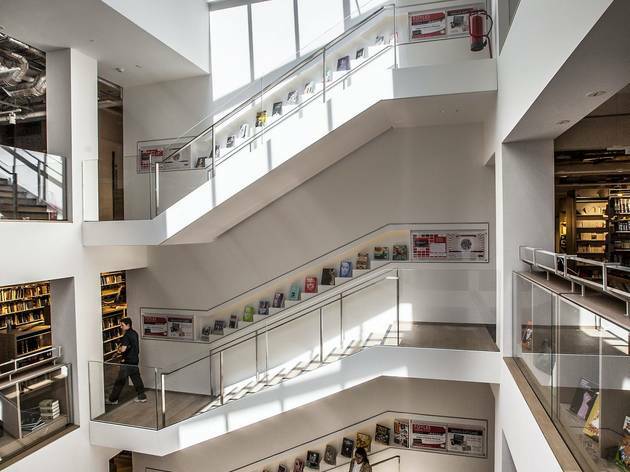 What's more, Foyles has retained its knowledgeable staff, who can whisk up a fantastic choice of books given certain parameters. They are brilliant when your task is to find a present for a friend with interests outside of your own. The old cafe was an institution, but the new cafe is actually a nicer place to sit, with more space around the tables and much more natural light. It's pleasing they've retained a bar with stools so shy lone customers can feel comfortable sitting there on their own. The gallery and event spaces add life to the place without losing any of the calm. All in all, a triumph of design and intent which fosters a sense of community. I am missing the old Foyles - alas the Mecca of bookshops was brought in for disassembly, however a new ship was launched and what a modern thoroughbred of bookshops it is. Waterstones et al, have nothing on this baby - I would say one thing - things will never be the same. CEO? Profits and marketshares? This is just not Foyles. 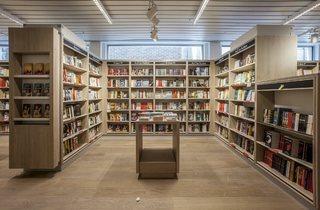 I loved the blog post about the new Foyles opening next week. I'm intrigued to see their new performance space. God I remember how quirky Foyles used to be, handing the book in to someone behind the counter who filled out a form which you then went to another counter where you paid and receipt was stamped, then back to the original desk, handed in the receipt and collected your book. Christina Foyle was bonkers but that's how it was done! I look forward to visiting the new store. Foyles have been a keen supported of the Science Fiction Book Club (http://www.sciencefictionbookclub.org) since its founding and for which we are very grateful :) Viva la Foyles!